UPDATE: Police launched a new search in Kitigzan Zibi in July 2017 as a result of a tip they received. Charlene McConini says she still doesn't understand how Shannon and her friend Maisy Odjick got labelled as runaways by police when the girls did not bring any of their belongings from the last place they were seen. Shannon’s family and friends told the police she would never run away. They say Shannon was a young girl who had many passions, who loved her family, and looked forward to pursuing her goals. “I don’t see why she would run away because she was enrolled to go to nursing school that fall,” said McConini, who is Shannon’s cousin. The runaway label just didn’t sit with the family, McConini said, so they pressed the police. “They didn’t do anything until ... how long after, and then they changed their files saying they’re not runaways and saying that they were missing,” she said. The Kitigan Zibi First Nation, where Maisy was from, and where Shannon lived near, quickly set up a press conference. The community and families did not waste any time either. They put up posters, searched areas using boats, and canvassed nearby cities such Ottawa, Ont., and Gatineau, Que. 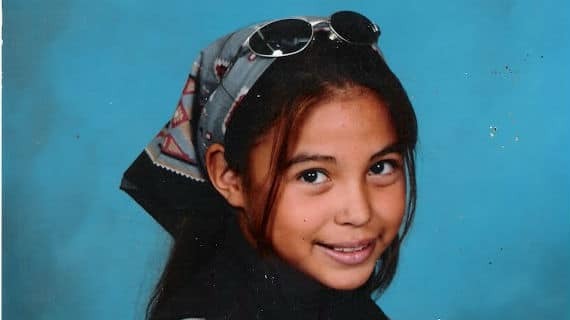 Because Maisy was from Kitigan Zibi and Shannon lived in Maniwaki, the cases were investigated separately, according to McConini. The Kitigan Zibi Police handled Maisy’s case, while the Sûreté du Quebec handled Shannon’s case -- a waste of resources, both families feel. Both cases are now handled by the Sûreté du Quebec. Although McConini is not aware of any recent developments, she does know the police had recently spoken to Shannon’s father, Bryan. McConini said she was never contacted by a police officer or detective. “I think they should just keep bringing it up in the media and keep talking about it," she said. McConini mentions a recent warning Kitigan Zibi police posted on their Facebook page about a young girl who allegedly escaped a prostitution ring that had come to Maniwaki to abduct more women. “All these things that are happening are making me more weary about everything,” she said. McConini said young girls need to be aware of these things happening, whether through police, social workers, or in the schools. She added that it's easy for her mind to wander, especially not knowing where her cousin Shannon is, but she is certain that Shannon did not run away. “I think [the police] should have really, I mean, sat down with the friends and families and asked them how they are going to title this case,” she said. McConini is surprised by how long Shannon’s been gone, and says she misses her each day. McConini said she does not support a federal inquiry because she feels the government would not implement any of its recommendations.